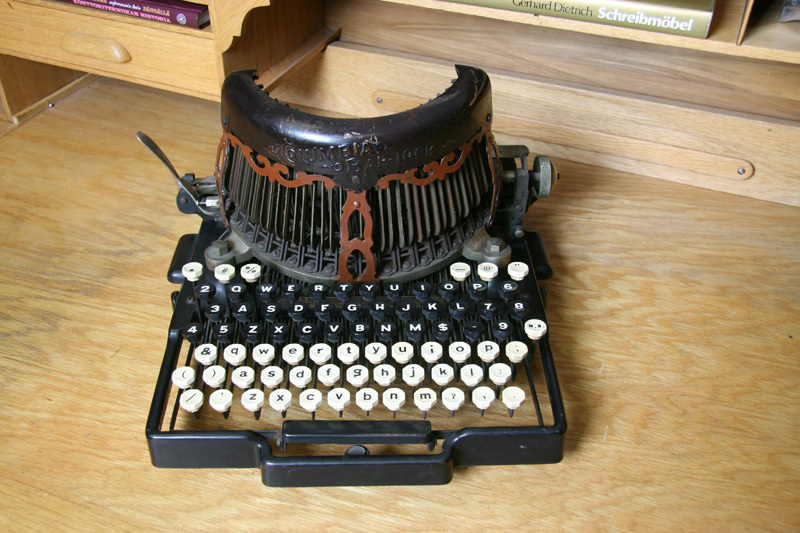 Watchmaker Charles Spiro (1850-1933) patented his first typewriter “Columbia” in 1885. 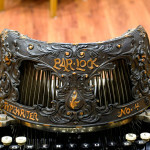 His next typewriter was named Bar-Lock and was introduced in 1888. 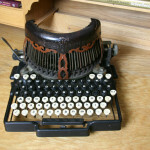 The typewriter produces visible typing, but you have to stand up and look over the shield to see the text. The typical feature of Bar-Lock is its decorated shield. Most desirable by collectors are the first models with the decorated copper shield. In later models the shield was painted. 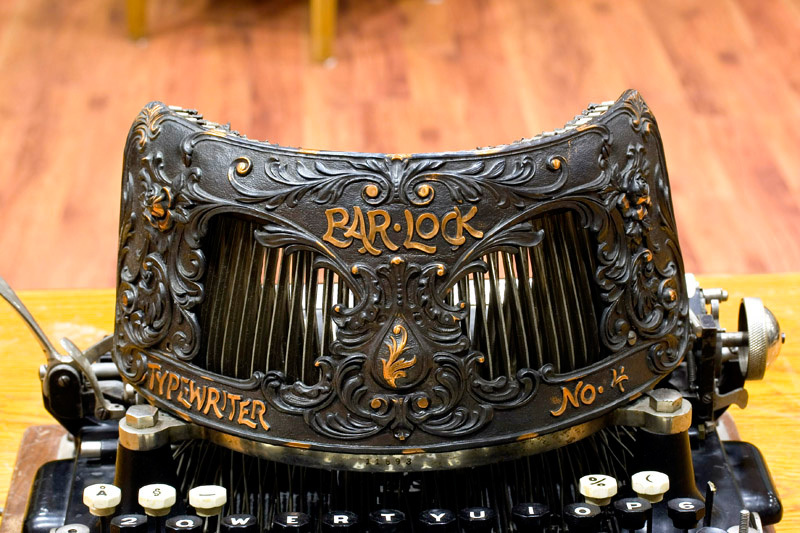 After 1900 the typewriter was called Columbia Bar-Lock. 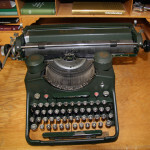 Later Charles Spiro designed other typewriters. In 1914 the company was sold to its British subsidiary. 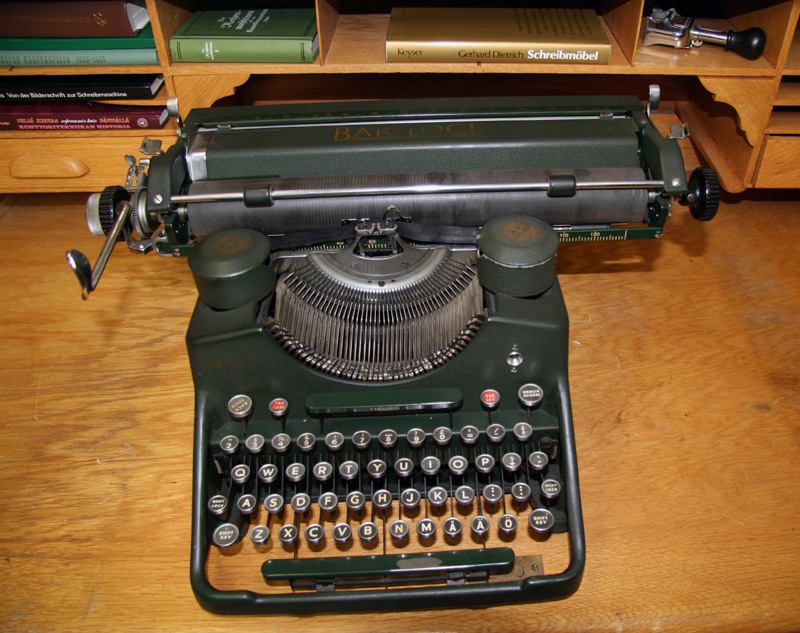 Production went on until 1958, when the company was sold to Oliver Typewriter Manufacturing Company. The importer in Finland was the company owned by marshal Mannerheim’s father . In 1903 his company sold ten Bar-Lock typewriters.